By virtue of its specific and carefully studied formulation, OraLife® Mouthwash finds useful application for the cleaning and hygiene of gums and mouth. 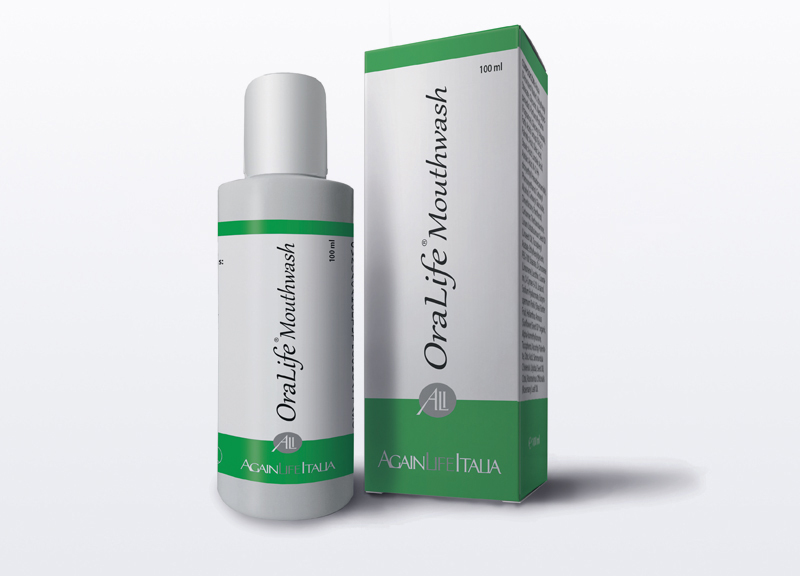 OraLife® Mouthwash also finds useful application during irritation of the buccal area, even with sensation of itching, and/or burning, and/or pain, in subjects undergoing radiation, heat or chemical stress, as well as an adjunctive support in the postinfection phase and in the postoperative period. While on radiotherapy and/or chemotherapy use mouthwash to cleanse the mouth and the oral cavity. It is recommended to use OraLife® Mouthwash in sufficient quantity to fill one or two container caps. Do not dilute with water. Pour the mouthwash contained in the cap into the oral cavity and spread it swishing it all around in your mouth area until it is in contact with the whole oral mucosa. During swishing the product increases in volume until it completely fills the area, at this point wait about 5-10 seconds without swishing it and then expel it, this operation will allow contact with all the mucous membranes of the mouth. Do not swallow. Repeat the application after each meal or as otherwise advised by your physician or pharmacist. For other uses not related to chemo- or radiotherapy, apply in the same way.